Incoming! Just delivered. 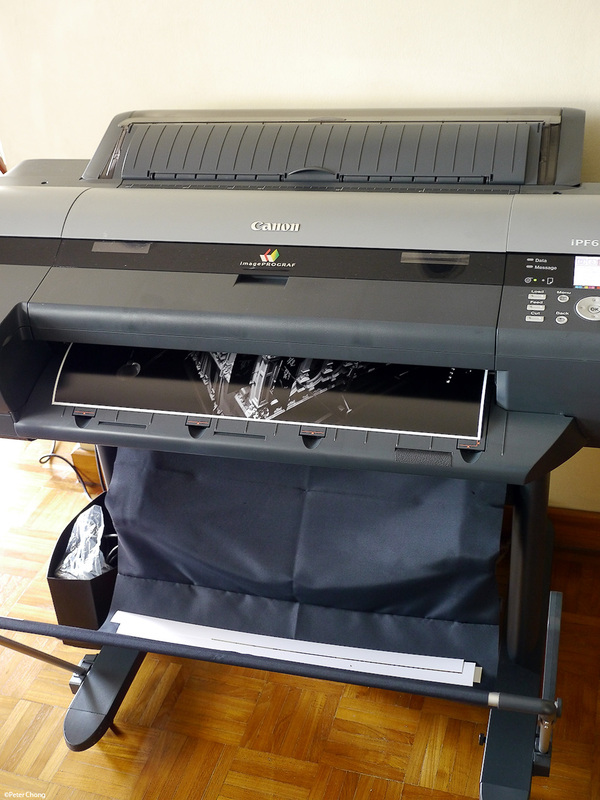 The Canon Image ProGraph 6350 large format printer. 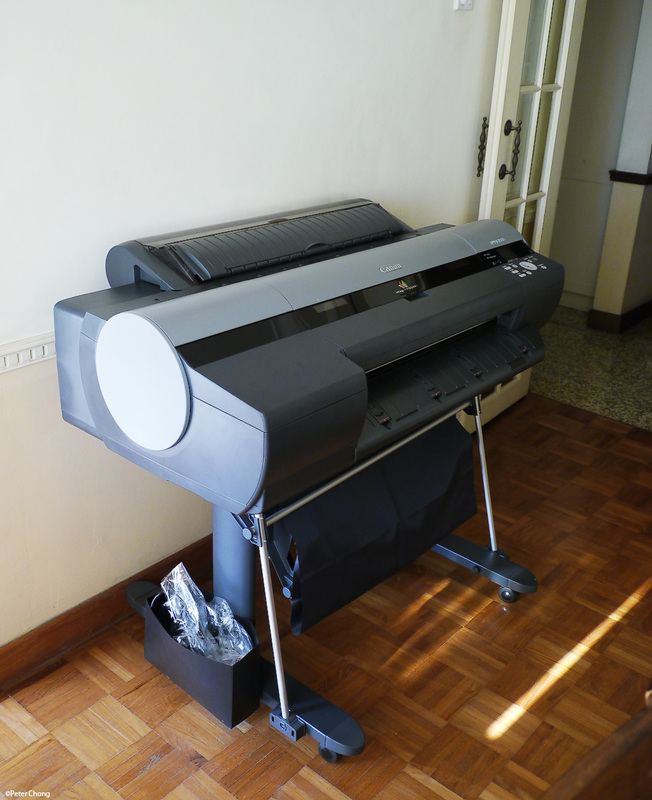 I will be evaluating this printer for use in fine art printing duties. The printer is on loan courtesy of Canon Singapore (Thanks Andrew and Norman for making this possible). And I will write about my experiences on the printer. I have used the Epson 4900 at KHL Printers fairly extensively for proofing pages for my book, but have not personally dealt with the workflow of fine art printing. I will attempt to document my learning process, as well as how this printer performs over the course of the next weeks. The iPF6350 is a 24 inch wide (600mm) printer, accepting roll paper/substrate. It is also able to print cut sheets, but roll paper is much less expensive on the long run, as per sq ft, the cost is much lower. I will not repeat the specifications of the printer, which is easily found on the web. Canon's official specs are here. The printer uses 12 colour pigment, archival quality inks. These are reported to last some centuries when printed on proper acid-free archival quality paper. The printer is part of the new-ish (released in 2010) series...what is known as the 300 series printers. For 24 inch wide printers, the series comprises of the 6300 which is the same printer but the 6350 comes with a built in hard disk (160GB), the 6300S, which is the same, but 8 colour and tuned for speed instead of quality of printing. Canon also produces the 44 in 300 series printers...the 8300, 8300S. 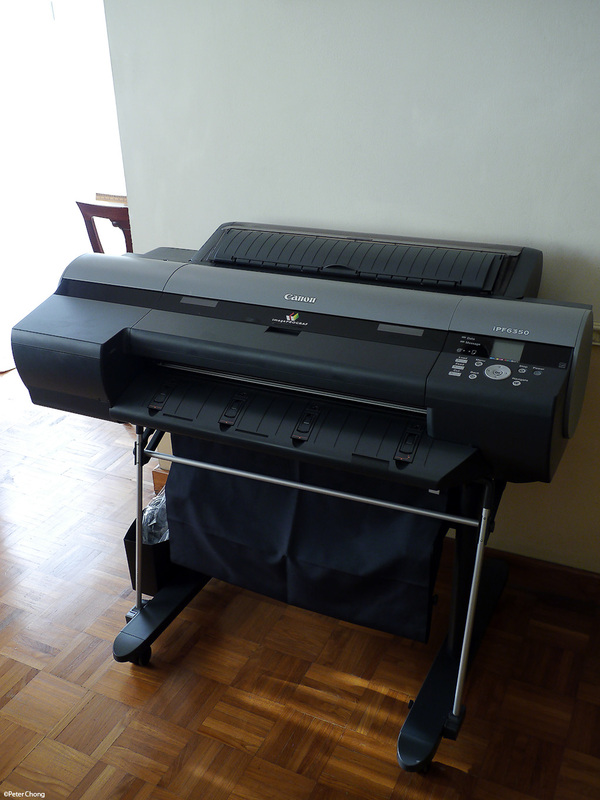 At the time of writing the 300 series printers are not yet available in 60 inch wide format. 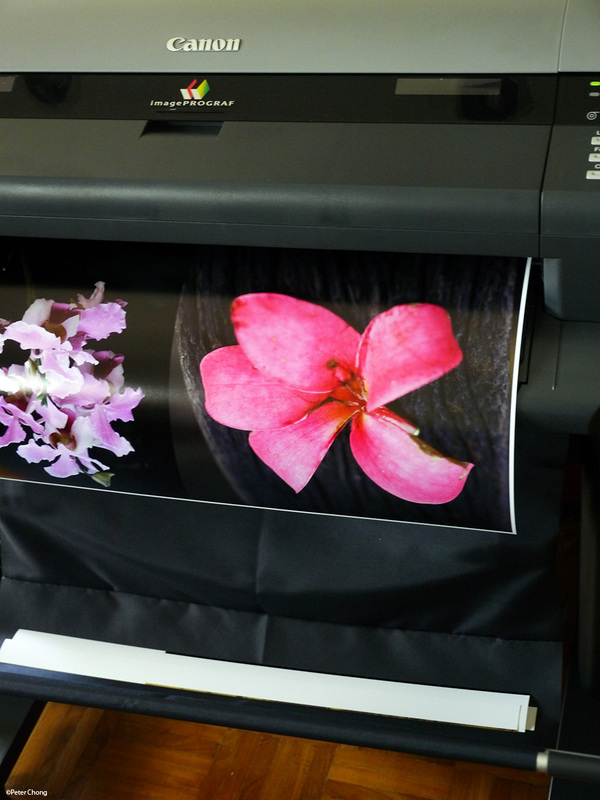 The current Canon 60 inch wide printer is still the 9100. The printer is rather large and heavy. Weighing some 66kg, the printer measures 1,177w x 870d x 991h with the printer stand. The construction on the printer chassis seem to be high quality plastic - handles well, and feels very solid. The stand seems to be built from a metalic chassis and is very sturdy. The printer is very easy to setup and configure. I will cover that in the next installments on this review. Out of the box, without any additional colour management (more on this in another post later), the prints looked beautiful. The blacks in the bw prints were deep and rich. The colours were vibrant and very lively. With the proper ICC profiles for the various media installed, I am looking forward to the printer making some beautiful prints. What an awesome post. I really appreciate the photos. Can i print plastic business cards by any laser printer?